We’re a little bereft, right now. We’ve spent weeks inside all these exciting manuscripts, being thrilled by their images and details, entranced by their characters and gripped by their plots. We’ve read them over and over, and we’ve thought about them when we should have been making dinner. This behind-the-scenes engagement is one of the joys of the mentor. Now, though, it’s time to invite other readers to enter these singular worlds. Inside these pages, you’ll find the talent and hard work of our 2016 Faber Writing Academy Novel students. These short pieces are only teasers. A novel manuscript is a long and involved work—it’s the marathon of creative writing—so here you’ll only see a taste of their commitment and focus and preoccupations. The authors vary in age and background and profession, and if you passed them on the street, you might think they had little in common. That’s not the case. They are united by their passion and their intellect and their reverence for the elegance of stories and of words. They understand the wonder and agony of time spent quietly making something beautiful out of nothing but their own thoughts and the movement of their fingers on the keyboard. Despite the solitary nature of the writer’s life, the process of constructing fiction is more collaborative than might be expected. The very act of coming together as a group to learn more about the craft of fiction and to share work with each other fundamentally changes a writer’s understanding and appreciation of how fiction works, and how best to make it. During our 2016 novel courses, many generous and wise writers and publishing professionals shared their knowledge and experience with us. We’re grateful to them all, but especially writers Andrew O’Hagan, Wayne Macauley, Steven Carroll, Louise Doughty and Ross Grayson Bell, agents Grace Heifetz and Clare Forster, publishers Annette Barlow, Mandy Brett and Aviva Tuffield, and coaches Ailsa Piper and Maude Davey. 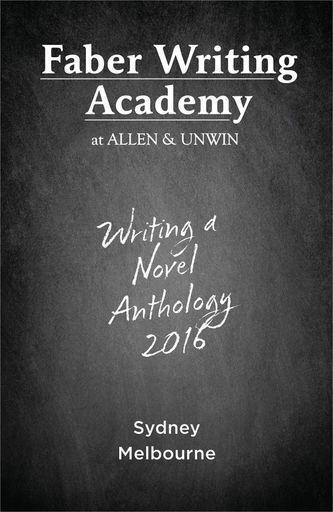 To the editors and publishers at Allen & Unwin: thank you all for your time and advice. We hope we haven’t taken too much undue advantage of your kindness and proximity. To April Murdoch, Sarah Menary, Emily Ralph, Elise Jones and the rest of the Faber Writing Academy team: you absolutely rock. We’ve loved working with you. There comes a point in the career of every writer when they cease to define themselves primarily as a reader. As readers, their first thought is their emotional or intellectual response to the writing. Isn’t that wonderful (or terrible)? the reader thinks. How exciting, or joyful, or sad. In our experience, it’s a distinct moment when they find themselves reading as a writer. When they are reading in this new way, their first thought is completely different. Instead of simply enjoying the piece, and feeling things, the writer thinks: How did they do that? It’s a new response. They’re no longer drivers, merely sitting behind the wheel and turning it so and working the pedals on the floor while the engine does its own thing. Now, they are mechanics. Now they can’t wait to lift the bonnet and see what makes the whole thing tick. They have a new appreciation for the machinery and the intricate parts of the engine, even the smallest levers they’d never thought about before. They long to roll their sleeves up and get to it. As teachers of creative writing, it’s our privilege to help our students find this moment. Despite being at the very beginning of their writing careers, our Faber 16 novel students have found the courage to share their work with us. We, their teachers, are proud of them all. 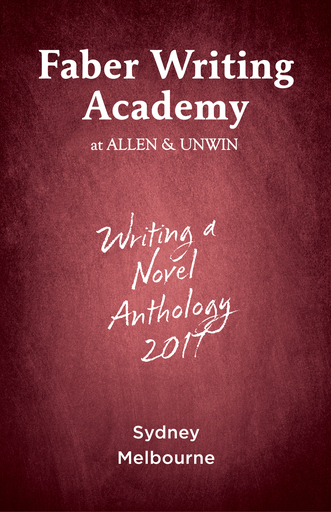 The volume referred to contains the work of those students who attended the Faber Writing Academy at Allen & Unwin course ‘Writing a Novel: Second Draft’ in Sydney and Melbourne in 2016. The collection is NOT an Allen & Unwin or a Faber and Faber publication.